With the current push toward electronic health records (EHRs), many doctors of chiropractic are now taking the time to evaluate their practice management software to determine if it meets their current and future needs. Given how fast technology changes, the odds are very good that DCs will need to seriously consider updating their software. However, the range of offerings can be overwhelming. Some are just stand alone EHR systems, while others are fully integrated to billing and scheduling software. Some may allow for customization, while others may not. Certain software systems can even connect to a larger network, such as for a hospital or a specialist office. Many DCs make the mistake of rushing out to buy the latest software without really taking the time to determine if it is a good fit for their specific office needs. Before making any purchases, DCs should start by examining exactly what they wish the practice software to do for them, both now and in the future as the practice grows. A wish list is a good way to start determining which software will best meet the needs of the practice. 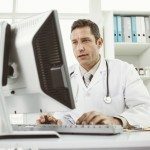 Will a standalone EHR program suffice, or will it need to be integrated with other systems in the office, such as billing or scheduling? Does the software need to “talk to” outside entities, such as specialists or insurance companies? Can the software be customized to allow for such things as freehand notes in an EHR record? Essentially, this wish list is what the DC’s ideal practice management software should be. Once the wish list is complete, it is time to move from an ideal practice management software system to a practical one. Take the wish list and go through each item to determine which features are absolutely necessary, completely unnecessary and simply nice to have. This will help narrow down the list to essential features needed to keep the office running as efficiently as possible, but without sacrificing quality. For example, if a DC is not affiliated with a hospital or a larger practice group, they may not have much need for outside integration. On the other hand, if that same DC wants to link automated appointment reminders to the EHR, they will definitely want to consider software that is not a standalone EHR. Is there a colleague with a similar practice? If so, it may be useful to compare notes about various practice management software programs. This will provide an outside perspective from somebody who has actually worked with the software and is aware of both the potential benefits and pitfalls. Implementing practice management software can give DCs a better handle on their business, from patient history, to billing, to scheduling and beyond. However, DCs must also take the time to find the right software package to best suit their needs. Understanding their current practice and where they want it to go is the first step toward improving both patient satisfaction and the practice’s bottom line.